Podcasts for Kids: Wow in the World! 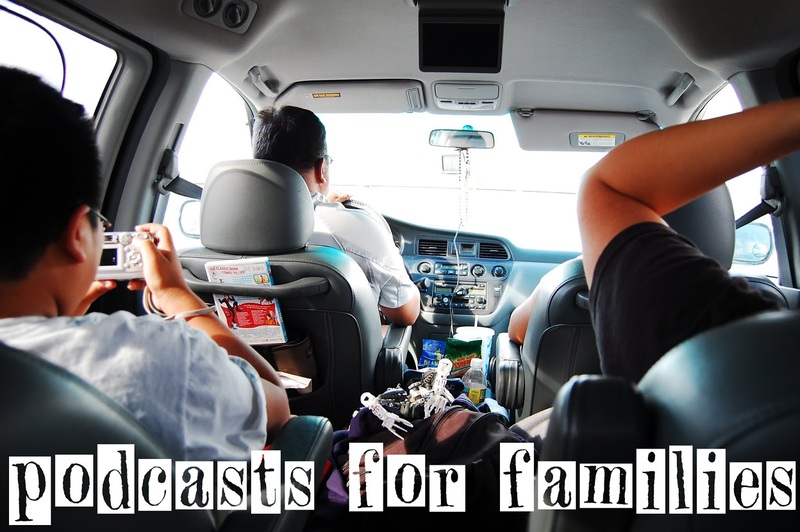 Check out the second installment of my Podcasts for Families series on the Joan Ganz Cooney Center Blog--an interview with Mindy Thomas from Wow in the World! During this past "spring" season (Jan-April in Wisconsin can hardly be considered spring, but we like optimistic euphemisms), I worked on creating some new tools for communicating with parents. The opening gathering time with families hadn't been working well for us (not everyone shows up right at the beginning; the people who did show up were rarely the same ones I'd taken pictures/videos of the week before so the reflection process wasn't very meaningful; it felt like just a big delay that got in the way of play....) and so I'd stopped doing them, but I missed having the opportunity to give those few little verbal nuggets about Anji Play and the expectations of the program. So I created print materials! Each week, as repeat attendees* arrive, I handed them a different "Lessons Learned from Anji" slip of paper. 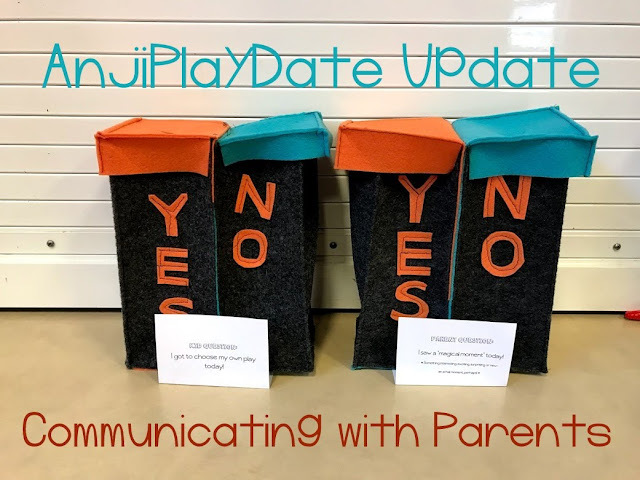 These were not much larger than a business card and contained only a sentence or two, but I hoped they were sentences that would help to deepen parents' understanding. The sentences were quotes from presentations that I'd heard on the October 2017 Anji Play study tour, or ones that I'd gleaned from Anji Play Facebook posts. I chose quotes that had been "a-ha" moments for myself and hoped parents would feel that same "a-ha" when reading my slips of paper. I also sewed new "yes/no" boxes in January! At the beginning of each Anji Play program, participants (kids and parents both) receive a painted clothespin to clip onto their clothes. One color is for first-time participants, the other color is for repeat attendees (this is helpful visual information for staff throughout the event). When participants are ready to leave, there's a printed question for kids and a separate question for adults. They answer the question by dropping their clothespins into either the "yes" or the "no" box. I created a set of questions that relate to each "Lesson Learned in Anji County" and tried to create questions that participants would feel equally comfortable saying "yes" or "no" to (so as not to influence their answer with suggestive wording). I've heard from a few parents that they put the "lessons learned" each week on their refrigerator at home as a reminder, or that they find the slip of paper again when they're doing laundry and it's a reminder at that point. I hope that these little reminders help parents to understand the great importance of self-determined play in their child's life. *new attendees would get the postcard with an explanation Ms. Cheng's five starting stances: Eyes open, Ears open, Heart open, Mouth closed, Hands down. I didn't pile another "tip of the week" on top of that huge (and sometimes challenging) message!